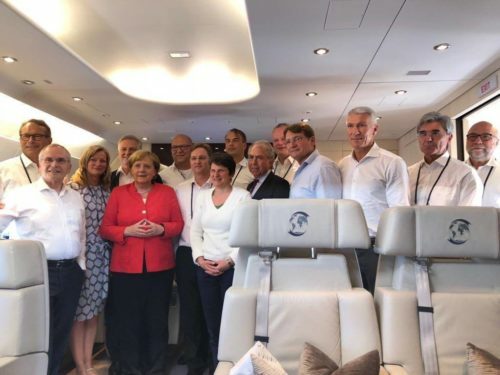 End of August 2018 Angela Merkel and a business delegation made up of various industry leaders and entrepreneurs commenced on their first joint trip to Africa. Senegal, Nigeria and Ghana were the three chosen destinations. Change, through the hands of Economic Development and sound relationships, were on the agenda. The Chancellor did not choose these countries at random, but rather relied on their political development to create a foundation that allows the Fusion between Europe and Africa. All three countries are democracies and are part of Ecowas, which aims to assure regional stability. Also, the time chosen to travel to Africa to promote this message does not come as a surprise. It has been a year since the last G20 summit, where Germany committed to African Development. But what has changed is the ability of African countries, to articulate its needs more effectively whilst Europe faces the issue of mass illegal immigration. Furthermore, in recent months all three countries have actively been trying to constellate a sound foundation that allows foreign investment and even promotes it through securities and subsidies. “Compact with Africa” incorporates most necessary steps to receive a great deal of foreign investment. It is strong groundwork. A first step to promote Economic Development. The trip was heavily concentrated on promoting Economic development, by doing so Merkel hopes to make 3 Major changes. Spanish security reported an amount of over 50000 immigrants currently awaiting their entry into Europe through Morocco. The straits of Gibraltar only separate Europe from Africa with its 14km distance, an ideal opportunity to enter Europe. Not only does a strong relationship between nations allow greater insight into its movements, but furthermore economic perspective through investments create an attractive local job market providing sound employment. Immigration is not as attractive when local markets are prospering. 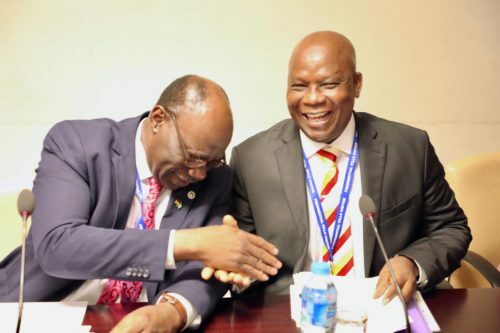 Additionally, by creating a sound foundation of trade and terms International investors have a safer relationship with their potential business partners, this allows German investors to realize their potential in Africa and expand their operations into new markets, adding value to both economies as well as their industry. More over securities have increased as insurance has become more accessible and requirements to security collaterals have eased – to promote trade. In addition to foreign incentives, local businesses will prosper by a lively market with various new income streams and new markets worldwide. This could heavily accelerate the current growth all 3 countries which they already experience at this moment in time. Africa is important! And this trip truly underpinned this notion and believe. Germany is finding its feet slowly but surely, trying to assure prosperous growth on both sides whilst combating issues such as immigration and poverty. We feel confident that Don Limon will be part of this development and watch our partners grow.